To say that Lyme disease is difficult to diagnose, would be like saying that McDonald’s has sold a few hamburgers over the years. Besides being called the great imitator, it has also been called an “invisible illness” as those who have it can still appear healthy, and so can their bloodwork. Consider the shocking difference between these two statistics. In 2013, federal health departments reported that there were 27, 203 confirmed cases of Lyme disease. While the CDC that same year reported that there were 300,000 cases of the disease. What may be even more problematic, is that it appears to be on the rise. Lyme disease is the most common tick-borne infectious disease in the U.S., according to the National Institute of Allergies and Infectious Diseases. The disease was first identified in Lyme, Connecticut in 1975, which is how Lyme disease got its name. It’s actually a bacterial disease. The corkscrew shape of the bacteria responsible allows them to burrow into body tissues and even cells, where the bacteria can then hide. This is why different parts of the body can be affected and why those who are infected can exhibit a wide range of symptoms. Of the four bacteria responsible for causing Lyme disease, Borrellia burgdorferi and Borrelliamiyamotoiare the two most common in the U.S., while Borrelliagarinii and Borrelliaafzelii are common in Asia and Europe. The bacteria enter the body through the bite of a tick. However, according to Dr. Dietrich Klinghardt, one of the top Lyme disease experts, other blood-sucking insects can also spread the disease. A tick will usually attach itself to areas of the body where it will go unnoticed, like the scalp, groin, and armpits. It must be attached for around 24 hours before the bacteria are transmitted. And it’s usually the immature ticks that are most responsible, as adult ticks are bigger and easier to notice. Research shows that within the first 15 minutes, as the tick attaches itself to the host, it injects a salivary content with numbing substances, so we don’t feel the invader as it feeds on our blood for hours. Up to 75 percent of a tick’s salivary secretion has a “soup” of pathogens, including Borrelia and other co-infections. The biggest problem with Lyme disease is that, for your best chances of a complete recovery, early detection is both critical and difficult. The longer the disease goes untreated, other signs and symptoms may come and go, such as brain fog, severe fatigue, muscle and joint problems, and an irregular heartbeat. The longer it persists, the more difficult it is to treat. And if left untreated long enough, it can cause problems with many organs and systems in the body, including the heart, digestive system, nervous system, brain, and reproductive system. Blood tests are the most common method to detect Lyme disease. However, it may take a few weeks after infection for detection to be possible. The tests are looking to confirm the presence of antibodies to the Lyme-causing bacteria. Antibodies are created by the immune system to combat pathogens, but the body needs a certain amount of time to make them. The CDC recommends a two-step process when attempting to diagnose Lyme disease. The first test is an enzyme immunosorbent assay which checks for any and all antibodies. If results are positive, the second test – an immunoblot test – will check for two specific antibodies that the body produces due to the presence of the Lyme bacteria. If both tests are positive, the presence of Lyme disease is a practical certainty. But again, problems persist. Proper results of these testing methods rely on the proper functioning of the body’s white blood cells. So, there is still a chance that tests can be negative and Lyme disease present. There is some good news, though. A brand-new testing method has been developed that can detect Lyme DNA, rather than the antibodies the body produces to combat the Lyme bacteria. This should allow for detection weeks sooner. And since time is the most critical factor in treating Lyme disease, this early detection is a very positive development. It should be noted that diagnosing and treating Lyme disease can become quite pricey and that a patient will often see five to seven physicians before the disease is even properly diagnosed. 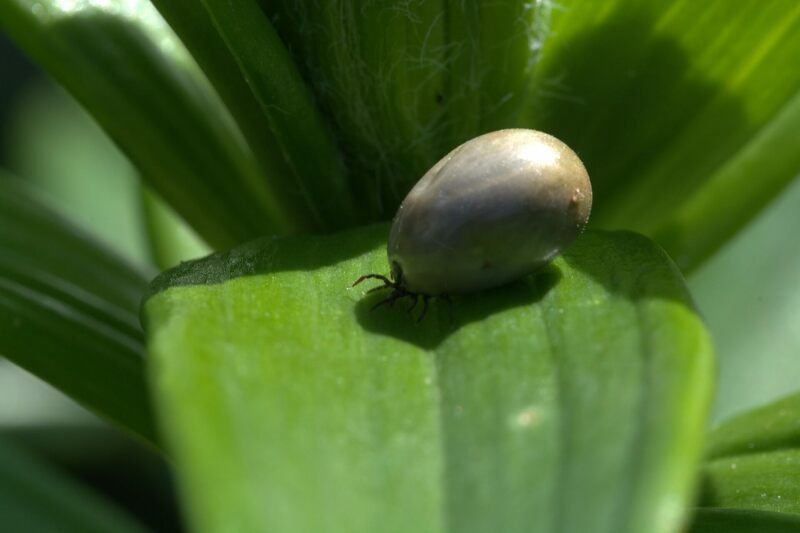 Unfortunately, the conventional treatment for Lyme disease – short courses of antibiotics – is often unsuccessful, particularly if the disease has been present for a longer time. For most patients, symptoms continue, and the disease worsens. A natural health approach may be the better option, as in a rotation of herbal antimicrobials. The advantages are two-fold. There’s no chance of a resistance developing, the way it might with antibiotics. And there are no adverse side effects, such as the disturbance to your delicate microbiome that antibiotics use can cause. Renowned natural health expert, Dr. Joseph Mercola, recommends taking a functional nutrition approach by using a number of herbs, foods, and other supplements to fight the Lyme infection, including astaxanthin, curcumin, krill oil, probiotics, resveratrol, grapefruit seed extract, and others. If you’re concerned that you may have Lyme disease, the first step is to find a functional medicine practitioner who can properly diagnose and treat the disease. Remember that with Lyme disease, time is critical. As is getting the proper treatment. Call our office and learn about an affordable way to get care from Lyme-literate practitioners certified in integrative medicine and natural therapies with our Access Membership plan. Call today – (212)-696-HEAL(4325).